Bruges is a UNESCO World Heritage City attracting people from across the world who come to visit the well-preserved city centre known for its canals and romantic alleyways, its medieval history, superior gastronomy catering to all tastes and budgets, and… a great rowing club ;-). 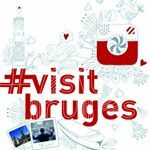 Bruges is not just the city know as the setting of the famous British black comedy-drama film ‘In Bruges’ and the BBC series ‘The White Queen’, but rather a fantastic destination for a fun weekend combining sports and culture. Take the time to discover our town and to enjoy the scenery. There is a diversified offering of places to stay for all budgets ranging from youth hostels and cosy B&Bs to luxury hotels.